The goal was to create a work that utilized the museum's site—particularly its outdoor space—in an unexpected, immersive, and transformative way. 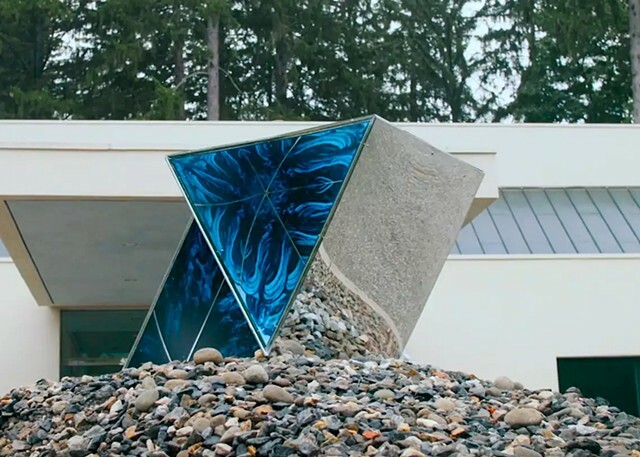 Through the use of reflective surfaces, light and earth-moving equipment, a visual and physical connection was created between the building's architecture and the lush surrounding grounds. With this installation, I endeavored to offer the public a moment of meditation through an outdoor public work, while responding to the museum's esteemed architecture, designed by Edward Larabee Barnes, and the beauty of the site itself.